The auto sector could be one of the more contenious parts of the NAFTA talks, one expert says. With the first round of talks finished, the outcomes on Oshawa and the auto-sector with any shift in the North American Free Trade Agreement remain uncertain, but one this is for sure, even a small change could mean big ramifications throughout the entire auto sector. Triggered by President Donald Trump, re-negotiations of the terms of the NAFTA began in Washington last week between Canada, the United States, and Mexico. 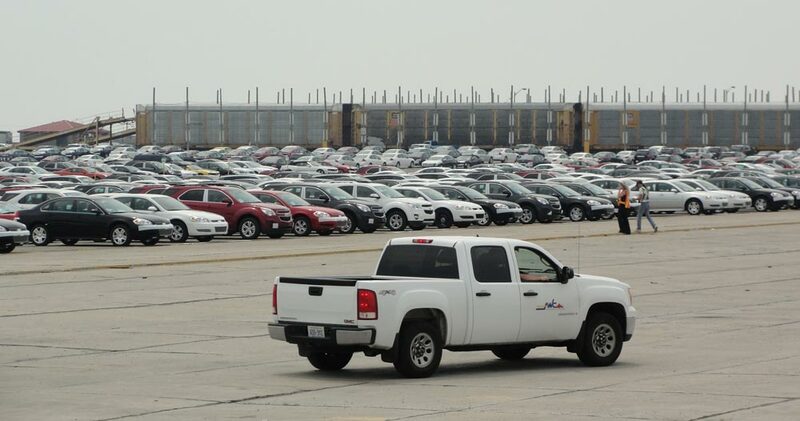 The possibility of tougher rules coming for Canadian exports, including cars, into the United States have been suggested and it could mean big changes are coming for the industry. Similar to talks surrounding the Trans Pacific Partnership (TPP) in 2016, a sticking point in the NAFTA negotiations will be the guidelines surrounding rules of origin, which dictate how much North American content must be in a product in order for it to travel duty-free across borders. This is vitally important for an auto industry that sees cars travel across borders multiple times during manufacturing. By dropping the amount of required regional content, like that proposed in the TPP, could influence automakers already established networks. “We can broadly say there’s going to be issues with the rules of origin, but even specifying a figure doesn’t tell you just how much disruption a different text will mean,” Ciuriak says, noting that changes to the origin rules could mean changes all the way down the supply networks for the big automakers. With that said, Ciuriak does not forsee any groundbreaking language coming to the table due to the short timeline of seven to nine rounds of talks over the next six months. He sees many similarities coming to what was used in the TPP negotiations. This observation will not sit well with union representatives at Unifor, who have been calling for a complete overhaul of the NAFTA for years. Unifor, the union representing a large majority of the workers at GM’s General Assembly in Oshawa, is calling on Canada to walk away from the table if serious change can not be made to the deal to better protect labour, gender and Indigenous rights. With the first round of talks wrapping up last week, the second round are set to begin in early-September in Mexico. A third round is scheduled in Canada for later in the month.